Fortunately for moviegoers and lovers of slapstick comedy, a young lad from South London arrived for his second tour of America during October 1912. For within one year of his arrival in America, this London Cockney would become the most recognised film actor throughout the world, without even uttering a single word. Against all odds, this kid from the slums of London would become the greatest tramp of all time and one day even receive a knighthood from Her Majesty the Queen. 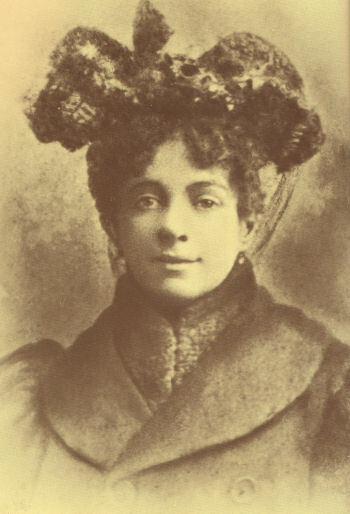 In 1881 Charlie Chaplin, Senior, whilst touring the music halls in the provinces with a production of an Irish melodrama "Shamus O’Brien", met and fell in love with Hannah Hill, who had picked the stage name Lily Harley, influenced somewhat by her favourite music hall idol Lily Langtry. Three years into their courtship, Hannah had fallen for another man, Sydney Hawkes (or Hawke), who claimed to be an English aristocrat. Sydney invited her to run off with him to South Africa where they would live with his wealthy family on their plantation with a promise to marry her once she was settled in there. Sydney, an East London Jew, turned out to be a con man, and once Hannah arrived in South Africa, she soon became pregnant with his child, giving birth on 16 March 1885 to a baby boy she named Sidney John Hill, which was later changed to Sydney Chaplin. Once she realised she had been conned Hannah lost no time in returning to England and reuniting herself with her first sweetheart Charles, who was willing to forgive her. They lived together in a rooming house at 57 Brandon Street, Walworth, where he supported her both emotionally and financially throughout the pregnancy, taking on the role of father to another man’s son. Three months after Sydney’s birth, Hannah (20) and Charlie (22) were married on 22 June 1885. The young and affluent good-looking couple must have been the envy of their street. 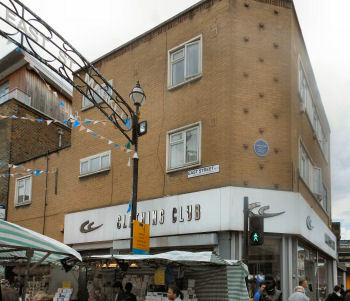 Charles Chaplin, Senior, was a well-paid music hall entertainer during this time, playing most of London’s top venues, places such as the Canterbury on Westminster Bridge Road. 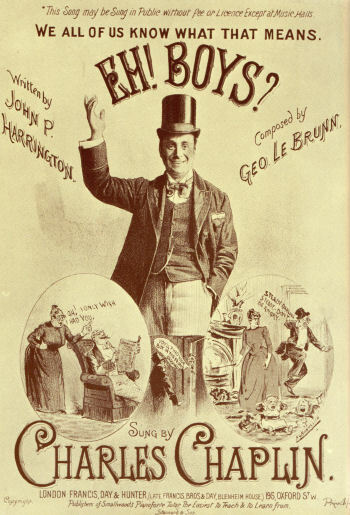 He would appear on stage as an elegant swell complete with top hat, with a glass of bubbly in one hand and a walking stick in the other, a fine character actor with a baritone voice, singing comic songs of ordinary life, about errant husbands and nagging wives, and men looking for a good time. It was during these affluent years of family life, that Charles Spencer Chaplin entered the world on 16 April 1889 in East Street, close to the Walworth Road. The first three years of Chaplin’s young life were to be happy and secure times with loving parents. His father was kept busy touring the music halls during his fifteen-year career, with his mother still singing on stage, albeit as a well-paid backing singer to the famous music hall star, Leo Dryden. Once Chaplin arrived back from his tour and Hannah’s affair with Dryden became apparent their marriage broke up and ended in divorce. With Dryden and Hannah living together as man and wife for the next two-and-a-half years, Hannah became pregnant with Leo’s child, a son they named Wheeler Dryden. Wheeler was snatched soon after his birth by the boy’s father. It would be many years afterwards that Sydney and Charlie discovered the existence of their half-brother Wheeler. It was during the aftermath of the failed marriage that Hannah and the boys really struggled, as she literally sang for their supper until her voice finally burnt out. This happened when five-year-old Charlie was backstage at the Aldershot Canteen, which was full of rowdy soldiers who packed out the dingy smoke-filled hall. As her voice began to croak (she was suffering from a larynx condition), objects were thrown at her with jeering and heckling taking place. Charlie could see how upset and distressed his mother was as she walked off the stage to the wings where he was standing. During later years he would recall this experience: “When she came into the wings she was very upset and argued with the stage manager who, having seen me perform before Mother’s friends, said something about letting me go on in her place.” Charlie was led onto the stage in front of the noisy crowd where he began to sing a well-known song of the time, “Jack Jones”, the orchestra followed along with the accompaniment. Halfway through the song, the jeers had turned to cheers, and the objects now being thrown were money. Charlie announced he would pick up the money first and sing afterwards. This caused much laughter, especially when the stage manager came running on to help gather up the coins in his handkerchief. Charlie was worried the manager would keep it all so he tried to stop him. This made the audience laugh even louder as they watched Charlie run off stage following the manager, and refusing to return onstage until the money was handed over to his mother. At the end of his song, his mother went on stage to carry him off, her presence evoking tremendous applause. This was to be Charlie’s first night on stage and his mother's last. After her singing career was over, Hannah rented a sewing machine and became a seamstress working from home. Hannah and the boys moved into lodgings at 39 Methley Street, with a slaughterhouse and a pickle factory for neighbours. Kennington in those times was a far cry from the middle-class Kennington of today. Street urchins, real-life Oliver Twists, roamed around dingy streets full of poverty. There was a neighbour living close by called Archibald (Rummy) Binks, who walked with a funny shuffle which young Charlie would mimic. 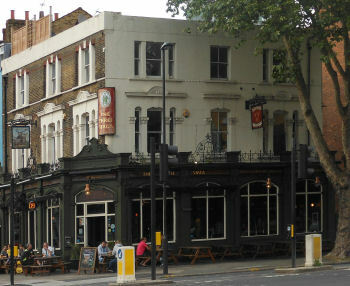 Rummy would stand outside of the Queen’s Head public-house, in Black Prince Road, where Charles Senior was a regular. He would get the cabs from the nearby rank, with the cabbies tipping him a penny. Charlie soon found being a mimic made him a few more friends and enemies too. One neighbour in nearby Walcot Gardens was trying to work through the noise of kids laughing. When he looked out from his upstairs window he saw Charlie entertaining his mates by mimicking some of the locals. As the neighbour came running downstairs he heard Charlie say, “Ladies and gentlemen a slight impression of the bloke upstairs who comes down to chase us.” The annoyed neighbour's face turned red as he watched himself being portrayed by the young lad. It was around these times that Hannah developed her blinding headaches when she would lie for hours in a darkened room. These headaches were attributed to the many hours she worked sewing, sometimes fourteen hours a day. 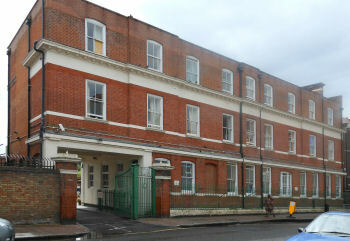 She was hospitalised in the Lambeth Infirmary in Brook Drive, which is still standing, although it is now a private block of apartments. 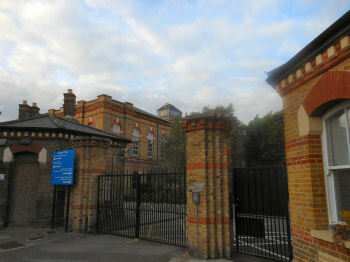 Because Hannah was no longer able to work, the boys were sent to the workhouse, which has also been converted into private residential homes, with the gateposts, porter's lodge and main blocks still surviving. After three weeks both Charlie and Sydney were sent to an orphanage at Hanwell in Middlesex, about 12 miles from Kennington. They were transported through the streets by horse and cart, a scene Charlie later recalled in the film “The Kid”, where the young five-year-old kid, played by Jackie Coogan, was snatched away from Charlie in a horse and cart in a heart-rending scene. Many years later Coogan would become well known as Uncle Fester in the 1960s TV programme "The Addams Family". Meanwhile, Hannah was committed to the Cane Hill Lunatic Asylum in Sussex, where she had to be confined to a padded room on account of her sudden violence. The two boys, unlike some of the inmates at the orphanage, still had loving parents, albeit that their mother was unwell and their father an alcoholic, refusing to pay any maintenance money towards the boys' upbringing. Chaplin recorded his orphanage days in his book “My Autobiography”: "Although at Hanwell we were looked after, it was a forlorn existence. Sadness was in the air; it was in those country lanes through which we walked, a hundred of us two abreast. How I disliked those walks, and the villages through which we passed, the locals staring at us! We were known as inmates of the 'booby hatch', a slang term for the workhouse." Charlie’s first professional stage act was at the age of nine on Christmas Day 1898. Charles Senior was on tour appearing at the Manchester Theatre Royal, with Charlie spending time visiting his father. Also on the same bill was a clog-dancing troop, the Eight Lancashire Lads, who happened to be a boy short, so young Charlie was picked to make up number eight. The Eight Lancashire Lads toured the country playing the top music hall venues including those around London such as the Oxford, the Canterbury and the Paragon, Mile End. 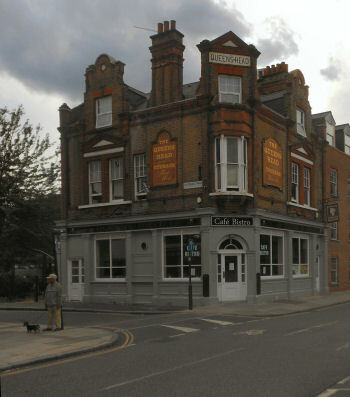 One day in 1901, as Charlie was passing the Three Stags pub in the Kennington Road, he caught a glimpse of his father seated by a table near the window. He was shocked by his father’s appearance – this once handsome man now in the final stages of cirrhosis of the liver, puffy-faced and his body swollen almost beyond recognition. 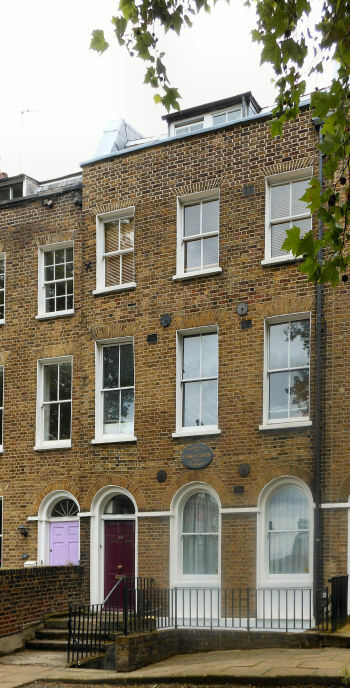 In late April his father was admitted to St Thomas’s hospital and he died there on 9 May 1901, aged thirty-seven. The former music hall star had a good send-off, paid for by his brother Albert, although sadly his final resting place was in a pauper’s grave. 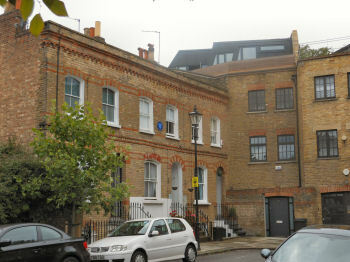 After leaving the Eight Lancashire Lads in 1902, Charlie rejoined his mother back at Kennington. By this time his brother Sydney had joined the Merchant Navy. Charlie took on various jobs to help pay the rent. Some of his jobs included: a clerk in a shop selling lamp oil, a barber’s assistant, a printer’s assistant, and a glassblower’s assistant. A newspaper boy seemed a job better suited to Charlie’s abilities. He took a job with a company running newspaper stands. Charlie was given responsibility for his own stand outside Clapham Common tube station. In July of 1903 Charlie was back on the stage playing a newspaper boy "Sammy" in a play by H.A. Saintsbury, "Jim, a Romance of Cockayne". The play itself had bad reviews although the London Topical Times reported: "... one redeeming feature ... Master Charles Chaplin, a bright and vigorous child actor. I have never heard of the boy before, but I hope to hear great things of him in the future." Another part followed with Charlie playing Billy the page boy in Sir Arthur Conan Doyle’s Sherlock Holmes play, "The Crown Diamond", which was later printed as a short story called "The Mazarin Stone". This was an important role for fourteen-year-old Charlie, playing the page boy who shared rooms with Holmes whilst Doctor Watson was away on leave.